I hope that someday, you will want to sew. As I write this, you have already sewn some very lovely things and I imagine that you will probably be interested in continuing that in the next few years. You will probably need my assistance and I will probably give it. And, together, we will make some delightful things for yourselves, your dolls and the other people you love. We will revel in the products of our hands - you in wonder that your little fingers made an actual miniature dress and I in pride that you let me help. 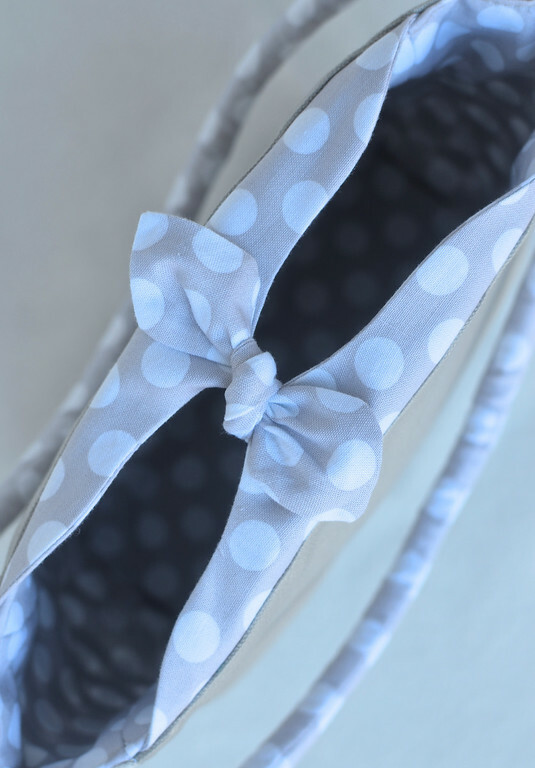 However, I am not talking about that kind of sewing; I mean the kind of sewing in which you, now an expert at your own sewing machine, feel the first urge to design your own project from just an image in your mind and cause it to take form to completion. It may be inspired by a toy catalog, an outfit on a person on the street or something you saw on the internet. Or it may be something from a dream (your great-grandmother designed like that). Or it may be something you literally imagined and wanted to come to life. Whatever its source, you will want to make it. I have seen you do it with paper and cardboard. I have listened to you do it in music and song. I have watched you flesh it out in stories and scenarios in your play. Now you are just beginning to do it in fabric and I am beyond thrilled. When I was seventeen and in high school, my classmate had a backpack that I coveted. 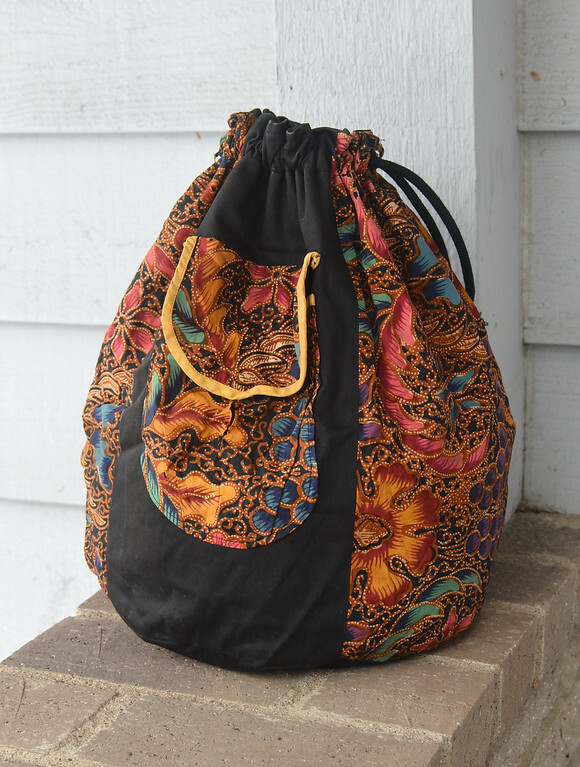 I still remember what it looked like: black with a patchwork of brown and maroon ikat, drawstring cords anchored to fabric straps and a metal coin with a hole for a clasp. Teenage pride prevented me from actually asking her where she'd bought it, so I went in search of it in the stores at the Bedok Bus Interchange (stop rolling your eyes - it was a very hip shopping hub in my day, I'll have you know). I remember the feeling of desperation when I returned home empty-handed. I moaned to Grandma Mae about how much I wanted that bag. It was all I could see when I closed my eyes at night to sleep. Before long - and I don't remember if it was she or I who first suggested it - I decided I would have to make it. I didn't have ikat (for shame) or a metal coin but I had black fabric and vast amounts of batik and leather. So off I went to sketch, cut and stitch. This is the bag I made. It's all crumpled and ratty and the batik is torn and the cool leather clasp fell off long ago but I've still kept it. Back when I had just finished it, though, I didn't feel very proud. Instead, I still felt a pang of longing for my classmate's bag which I secretly thought was cooler. However and unexpectedly, while I wasn't crazy about the product at the time, I discovered I loved the process of bag-making. I liked it so much that I made bags for all my friends, male and female. For fun. For no-occasion gifts. For a while, almost everyone in the youth group at church had a bag I'd sewn. I even forced random people I barely knew to accept my bags. Eventually, my obsession grew to the point where I was buying fabric and hardware in bulk and receiving requests for the weirdest things in the strangest fabric and materials: in-flight carrying cases for musical instruments, customized backpacks and (although I had to say no at the time) saddlebags for motorcycles. It was exhilarating to listen to someone's ideas and translate them into dimensions and shapes in a bag pattern. And then, wonder of wonders, it became a business. A bona fide business! I was nineteen, starting college and sewing on the side. Whoo! Grandma Mae became my quality-control manager and supplies-stocker. I had a couple of friends handle the marketing, orders and financial transactions. There was no internet then - everything was done by word of mouth and transfer-of-hands. It was a lot of work but it was so much fun. While my contemporaries were waitressing and giving private home tuition for pocket-money, I was sewing bags. I didn't think of it as enterprising at all - all I thought was that I was the luckiest girl in the world to be doing what she enjoyed and being paid for it. A couple of good friends and I once talked about turning it into an online venture and I still remember that evening, my bag samples all over the floor of the living room while we talked about the viability of it all. Between the three of us, we had the capital and possibly the technical savvy but the timing was not right, largely because I was in the throes of my final years at college. So it didn't happen. But it didn't stop me thinking that this - this handmade concept - had such incredible potential and that, someday, when I wasn't swotting for Physics papers and stuck in the labs all week, it would be a fun thing to pursue to see how far it could take me. I had a good three or four years doing my commercial bag-making thing and then college was over and I skidded apprehensively into the world of work. I became a teacher, stopped sewing for the next decade, skipped the country, took on Freud, Jung, Ellis and Skinner, married your dad, and now here you are. I almost forgot to mention - some time after making that first bag, Grandma Mae and I were out shopping and I saw the ikat backpack my classmate had had - the one that started it all. The sight of it, hanging in the store, jolted me in the same way as seeing someone you had a crush on walk into the room. When I pointed it out to Grandma Mae, do you know what she said? She told me, "The one you made in batik was so much classier." Excuse me? Did she just say ikat was inferior to batik? Well, given the circumstances, I let that one pass. Superior or not, that bag started quite the journey which, now with my etsy store and this bag-making tutorial series, has come full circle. And so, dear ones, I hope you will find this series useful in your own bag-making adventures. I will not promise that it will open doors to commercial success - that would depend on many other factors that have absolutely nothing to do with sewing skill - things like timing, opportunity, demand and the right contacts. As long as you will allow me, I will teach you, show you, encourage you, correct you, point out possibilities to you, make you unpick bad seams and tell you all the ways your versions are classier than the ones you tried to hack. But most of the exploring and learning will be yours - they must be, if you are to make your craft truly your own. And someday, when you feel suitably inspired, turn around and teach what you know to someone else - not for profit or power but for the sheer joy of seeing them catch the fire and run with it. I'm so excited about this series,thank you for letting us come along for the ride. I loved the letter to your daughter. Your girls will treasure that letter someday. I hope "the internet" never lets it get away... or that at least you have a backup copy of it for them. :) Thanks for sharing your journey with us, as well! Beautiful story! I guess that for it to feel the same for them, they have to find their own "ikat bags" which, I hope truly, will happen. It was nice to know where the name of the blog comes from :) I have the same feeling of shame and disappointment when I finish a project. It wasn´t exactly what should be, and the original is always better in my eyes than my copy will ever be. But I guess it is a self-steem issue, more than quality issue. Keep on working and showing. You are inspiring! A wonderful inspiring story. thanks for sharing it with us. Thank you for these classes, they are very helpful. 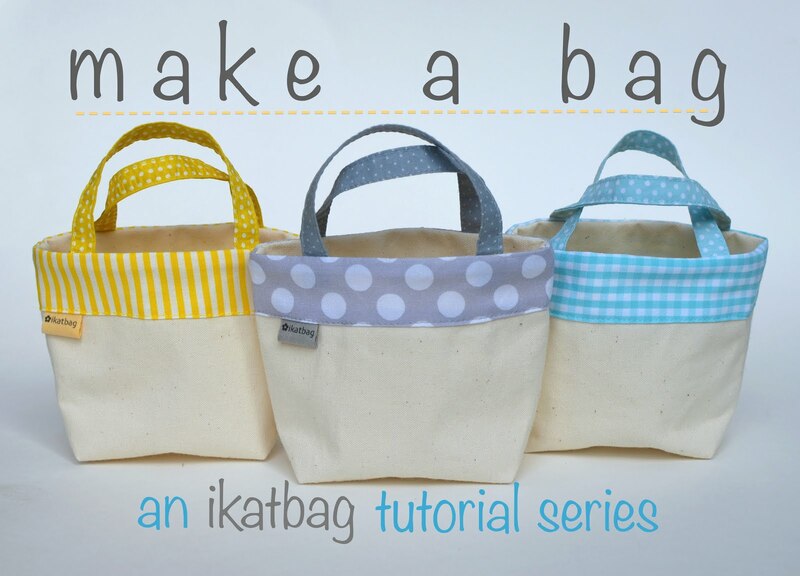 Lovely story.. now I can relate to why your site is named ikatbag:)Recent reader to your posts you see. eager to read the posts you write..
adorei suas lindas bolsas. São maravilhosas. My first time visiting your site and I have enjoyed it. I was looking for a bag to make for a great niece, age three, more a tote for her to put the doll diapers I will be making. Have not finished reviewing all your information but I am sure I will not be disappointed. I don't even remember how I came across your blog (several hours ago of reading now) but I'm so filled up with inspiration and joy right now. I'm loving taking in all the colours and thought processes. Thank you! When I worked in a little health food store I used to "repair" and "improve" things around the shop with funy cardboard structures I made from delivery boxes. I could have used your cardboard tutorial then! been reading your blog for the last 2 days.. and i absolutely loved it!! thank you soo much! on my way to making my first bag..a bucket bag for my girl..wish me luck! Good luck! I hope your first bag turns out wonderful and inspires you to make more!